The Piano Studio of Belinda Butler offers private piano lessons to students of all ages and abilities in the Greenville, Winterville, Ayden, Grifton, Washington, Kinston, New Bern, Snow Hill and the surrounding area in North Carolina. If you are looking for top-quality musical instruction that will give the student a life-long understanding and appreciate of music, you will find it here! Belinda is a dedicated and enthusiastic piano teacher with a Master of Church Music in Music Education and Organ and over 26 years years of teaching experience. Her in-home teaching studio is conveniently located on the south side of Winterville. If you would like more information, please email her at belindaspiano@gmail.com. She looks forward to sharing more with you about you or your child becoming part of her piano studio. Belinda Butler is currently accepting new students! I began studying piano at the age of 7 and organ at the age of 17. I am a dedicated and enthusiastic piano teacher with a Master of Church Music degree in music education and a Bachelor of Music degree in church music and over twenty six years of piano teaching experience. My in-home teaching studio is conveniently located in Winterville, south of Greenville. In addition to my teaching, I am also the Director of Music Ministry/Organist at St. Timothy's Episcopal Church in Greenville. I have training and teaching experience teaching children and adults of all ages so no need for gimmicks or short cuts. Please keep in mind that not every musician has the needed education and experience teaching piano. 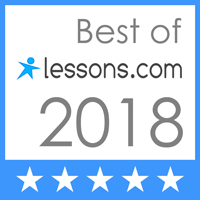 Cheap lesson fees do not necessarily insure that you will be taking piano lessons from an experienced and qualified teacher or have the best lesson experience. New Students: Are you interested in joining the studio? Students may begin lessons at any time of the year. Lessons are for children ages 5 through adults. Feel free to call or email me to ask if there is an opening in my studio. If there is, I would be happy to speak with you to determine if we will be a good teacher-student fit! Give the gift of music. Piano lessons for children age 5 to adults in eastern North Carolina and the surrounding cities of Winterville, Greenville, Kinston, New Bern, Farmville, Snow Hill, Washington, Vanceboro, Ayden, Grifton, Tarboro, Vanceboro, Bethel, Goldsboro, and counties of Pitt, Lenoir, Greene, Carteret, Craven, Martin, Jones, Bertie, Beaufort, Wayne and Edgecombe.